to welcome the tourists that will visit the city in occasion of Matera European capital of culture 2019. 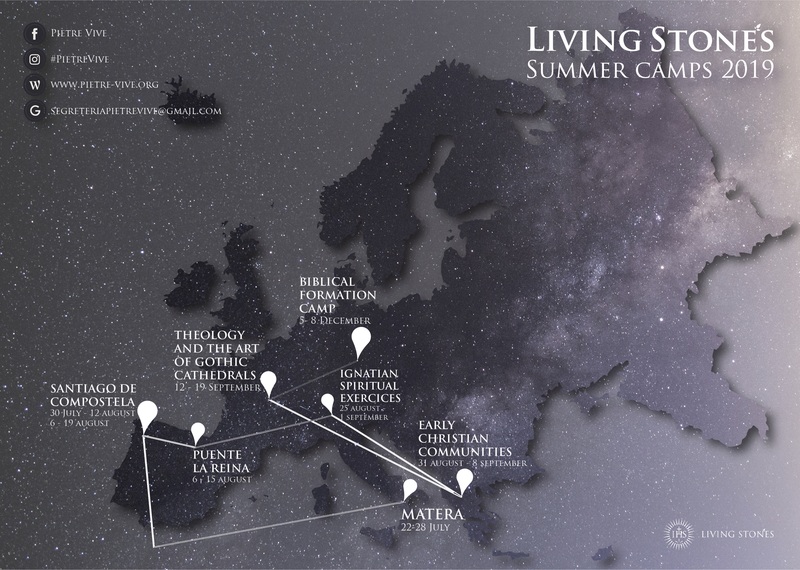 Four days of theological, art-historical formation leading to seven days of service and welcoming of pilgrims and tourists alike, at the Cathedral of Santiago de Compostela. Three days of theological, art-historical formation leading to seven days of service at the hostel and Romanesque churches of Puente La Reina (Navarre), and welcoming pilgrims on their way to Santiago de Compostela. A guided spiritual retreat based on the Ignatian method of prayer and reflection. You can discover this beautiful mountain region, pray in silence in the nature. A week-long formation seminar on the origins of Christianity, and pagan and Jewish cross-currents. Includes site-visits and personal study. A week-long formation seminar on medieval theology and the art of French Gothic Cathedrals, including site-visits in Paris, Rheims, Chartres and Vézeley. Aims to provide a basic introduction to Biblical Exegesis – that is, to receive more training on artistic and scriptural Christian symbolism, but also to form ourselves better as “adult Christians in faith”.